We have a new clue that signals the arrival of the Avengers 4 trailer is imminent. It's getting to a point where fans are going to begin to grow impatient. Last year, when it came to the Infinity War trailer, there was the added layer of knowing fans who were at San Diego Comic-Con and D23 had the chance to see the trailer months before Marvel actually released it to the public. That may not be the case this time around, but still. Fans need to know what's coming our way next year and, in all likelihood, we're going to get our first look at the movie before the end of the month. This information comes from the recently released Captain Marvel prelude comic. These comics often come with fun little reveals and provide a bit of backstory for those who are craving it. In this case, the most significant reveal didn't actually have anything to do with the upcoming Carol Danvers solo adventure. Instead, it came with the knowledge that the Avengers 4 prelude comic will arrive in stores on December 5. As Twitter user and Marvel fan glorylorylory pointed out, this must mean the trailer is coming down the pipeline. "This was at the end of the #CaptainMarvel prelude comic... the first #Avengers4 trailer has to come out before its first prelude comic... right?" That logic would seem to check out. Not only do we not have a trailer for the movie yet, but Marvel hasn't even revealed the official title. Undoubtedly, the prelude comic will, at the very least, hit shelves with the official title. The tease in the Captain Marvel comic simply billed it as the "Avengers Prelude," as to not give anything away just yet. One would have to imagine that Marvel wouldn't be revealing whatever information there is to reveal in this prelude comic before even releasing a trailer. Marvel Studios President Kevin Feige recently said that the Avengers 4 trailer would arrive before the end of the year. On the flipside, perhaps to simply throw eager fans off the scent, co-director Joe Russo recently said that the trailer may not arrive before the end of the year. It seems far more likely that Feige wouldn't have provided inaccurate information and, when coupling that with the knowledge that this comic is coming in just a few weeks, it looks like it's time to brace for impact, Marvel fans. For reference, the first Infinity War trailer was released on November 29 last year and Marvel made a big show ahead of its release, making sure the whole world knew the footage was coming the day before. 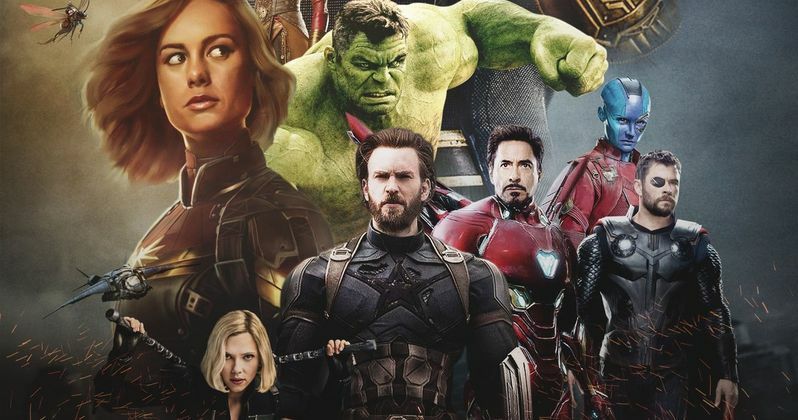 It would stand to reason that they will make another big show of it this time around, possibly revealing the official title for Avengers 4 ahead of the trailer drop to help build anticipation. Assuming this is accurate speculation, we should be seeing the trailer at long last within two weeks. Marvel is set to release Avengers 4 on May 3, 2019.